ASH strives to be an indispensable organization to hematologists. With your help, let us continue to grow our global and diverse community of clinicians, scientists, trainees, and educators. Let's dream big dreams, take calculated risks, and continue to deliver high impact results that help hematologists conquer blood disease worldwide. In her State of the Society speech at the 60th ASH Annual Meeting, 2018 ASH President Alexis Thompson MD, MPH, highlighted some of the Society's key accomplishments and commitments. ASH established this new non-profit in 2018 to foster collaborative partnerships to accelerate progress in hematology, with the goal of improving the lives of people affected by blood diseases. ASH made great strides in its SCD Initiative, including the successful signing of the Sickle Cell Treatment Act, the development of new sickle cell disease guidelines, and the launch of a robust public awareness campaign. ASH continued to support hematologists around the world by providing funding, training, and mentorship to a new generation of ASH Awardees, and introducing a new award designed to support future international hematologists. ASH led the development of 19 clinical practical guidelines in 2018, including six new guidelines on venous thromboembolism (VTE) published in Blood Advances and debuted at the 2018 annual meeting. In 2018, ASH continued to grow, set records, and raise the bar for service to its members. The following numbers demonstrate the breadth and reach of ASH in 2018, both in the U.S. and around the world. Attendees at the 2018 annual meeting (a new record! ), 40% of whom came from outside the U.S.
ASH meetings have long been at the heart of the Society’s service to its members and the hematology community worldwide. With record-setting attendance, growing international outreach, and new meetings added to the roster, ASH meetings both strengthened and extended ASH's impact in 2018. A new record was set in 2018, with over 29,000 attendees, 40% of whom came from outside the United States. Several new features were introduced this year, including recorded oral abstract sessions offered as part of the webcast, a special session highlighting recipients of ASH Awards, and ASH-a-Palooza—the reimagined Trainee Day, which attracted a record-setting 1,200+ participants. Eight “Highlights of ASH” meetings were held in 2018, including six in the United States and one each in Asia and Latin America. The Society celebrated 10 years of Highlights of ASH in Latin America in Rio de Janeiro, Brazil, while welcoming more than 800 attendees to the Asia-Pacific meeting in Bali, Indonesia. In 2018, ASH solidified plans for the all-new Highlights of ASH Mediterranean, coming to Athens, Greece, in March 2019. ASH premiered its Summit on Emerging Immunotherapies for Hematologic Diseases in 2018, addressing effective development, regulation, and implementation of immunotherapies for hematologic diseases. The third ASH Meeting on Lymphoma Biology engaged participants in discussions on key topics relevant to the lymphoma community. Finally, the new FDA-ASH Clinical Endpoints Workshop gathered nearly 200 collaborators in a room, while 750 people from more than 20 countries watched the meeting online. In addition to the ASH Annual Meeting and Highlights of ASH, the Society continued its series of premier educational meetings in 2018. More than 400 attendees gathered in Chicago, IL, for the ASH Meeting on Hematologic Malignancies. Additionally, ASH partnered with the American Society for Clinical Pathology, National Marrow Donor Program, Oncology Nursing Society, and The France Foundation to offer a free education program, MDS+AML MATTER. ASH provides important resources to further enhance the value of ASH meetings for attendees and the hematology community. ASH is an accredited continuing medical education (CME) provider, offering CME/MOC through ASH Meetings. ASH On Demand offers access to a wide range of online educational materials, including ASH meeting webcasts. ASH Academy offers access to online CME programming for our members, including the Biosimilars webinar series and the CML Interactive Cases. 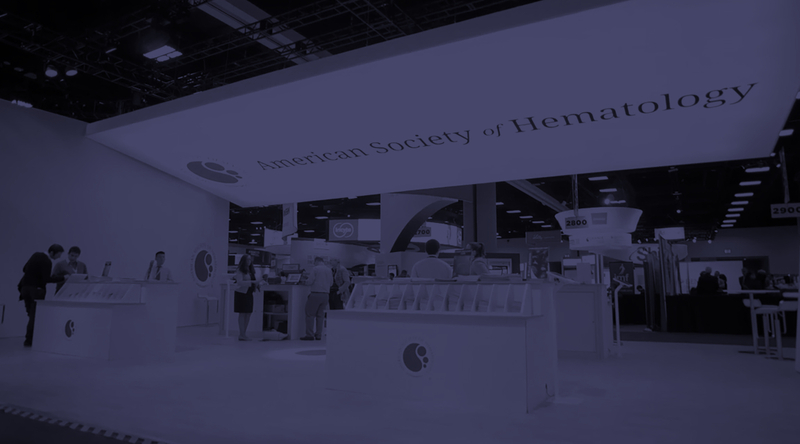 Though ASH may be best known for its premier meetings, the Society is also forging ahead on several strategic opportunities for advancing the field of hematology. In 2018, ASH made significant progress in the following areas identified by the ASH Executive Committee as key strategic priorities. ASH established this new non-profit in 2018 to foster collaborative partnerships to accelerate progress in hematology, with the goal of improving the lives of people affected by blood diseases. The foundation of the ASH Research Collaborative (RC) is its Data Hub, a technology platform that facilitates the exchange of information by aggregating in one place, and making available for inquiry, research-grade data on hematologic diseases. In December 2018, the ASH RC issued a call for proposals from institutions interested in joining its Clinical Trials Network, which will launch in 2019 to optimize the conduct of clinical trials research in sickle cell disease (SCD). Great strides were made in ASH’s multifaceted undertaking to address the burden of SCD both in the U.S. and abroad. Advocacy efforts paid off in December, when Congress passed a bi-partisan bill that will enable grants for gathering information on the prevalence and significance of SCD. The first Clinical Trials Network launched by the ASH Research Collaborative will advance clinical trials research in SCD. The Sickle Cell Disease Coalition, founded by ASH in 2016, grew to over 70 members organizations. Along with more than 20 members of the Coalition, ASH released a 2018 report card on the state of sickle cell disease. ASH and the Coalition released two videos focused on promoting awareness about SCD and the need for newborn screening in sub-Saharan Africa. ASH continued development of five new SCD clinical practice guidelines, slated to be published in 2019. As a key priority within the ASH Agenda for Hematology Research, precision medicine continues to play a vital role within ASH activities. In 2018, ASH partnered with ClinGen to provide expert-curated genomic variants for hematologic diseases. ASH is also working to improve the development and use of immunotherapies through several approaches, including fostering scientific exchange, expanding access to clinical trials, and developing resources for effective management of adverse events resulting from the use of these therapies. ASH led the development of 19 clinical practical guidelines and collaborated with several other subspecialty groups. Six new guidelines on venous thromboembolism (VTE) published in Blood Advances were debuted at the 2018 annual meeting, with the remaining four slated for release in 2019. ASH continued to update its 2011 immune thrombocytopenia (ITP) guidelines and to develop five new sickle cell disease (SCD) guidelines to be released in the coming year. ASH supports hematologists around the world by offering various research awards, training programs, and other resources designed to enhance knowledge, research, and expertise. In 2018, ASH introduced the ASH Global Research Award, designed to support future international scientific leaders, increase hematology capacity, and nurture global collaborations. Further, ASH Award programs continued to provide funding, training, and mentorship to a new generation of ASH Awardees. What is the ASH Minority Recruitment Initiative? Whether they’re launching careers in hematology, pursuing high-caliber research, or building expertise through mentorship and training, ASH Award recipients know they can turn to ASH for support throughout all stages of their careers. See what they have to say about their experiences. “I have participated in the ASH Minority Medical Student Award Program (MMSAP) and Minority Resident Hematology Award Program (MRHAP) since my first year of medical school. As I near the end of my residency program I can say with certainty that I would not have accomplished what I have today without this program. As a Latina woman and single mother, I face more challenges than most of the residents that I know. The ASH MRI has given me access to hematologists at the top of their field who are truly invested in my success. “The ASH Research Training Award for Fellows (RTAF) has given me the freedom to commit myself fully to research over the past year. Thanks to its support, I have been able to continue my instructorship at The Children’s Hospital of Philadelphia, devoting 80 percent of my professional time to research and 20 percent of my time to clinical practice. ASH continues to play a vital role in influencing policies and advocating for hematology. In 2018, ASH was involved in several federal and state advocacy campaigns to support the Society’s legislative, regulatory, and policy priorities. In particular, ASH used its Grassroots Network to inform Congress about the need for sustained hematology research funding and oral chemotherapy parity, and the need to strengthen and expand federal SCD programs. Congressional highlights include securing a $2 billion increase in funding for the National Institutes of Health and the introduction and passage of S. 2465, the Sickle Cell Disease and Other Heritable Blood Disorders Research, Surveillance, Prevention, and Treatment Act of 2018, which was signed into law in December 2018. Congressional briefings on both sickle cell trait and chimeric antigen receptor (CAR) T-cell therapy were also organized by the Society to provide credible information to legislative staff while enhancing our visibility on Capitol Hill. Highlights in working with the executive branch include meeting with Admiral Brett Giroir, MD, Assistant Secretary for Health, who has prioritized SCD within the U.S. Department of Health and Human Services, and partnering with the U.S. Food and Drug Administration on a clinical endpoints workshop for SCD. The Society continued to work with ADM Giroir and other federal partners to identify ways to strengthen and expand federal SCD programs, as well as collaborate and leverage ASH’s SCD initiative to help improve outcomes for individuals living with SCD. Catherine Zander, PhD, participated in the new ASH Congressional Fellowship program, which aims to connect hematologists to the policy-making process and educate Congress about issues important to hematologists and their patients. Dr. Zander worked closely with elected officials to ensure that the hematologist’s voice was heard in the policymaking process. As the world’s premier hematology organization, ASH continues to expand its international programs and services designed to help hematologists conquer blood diseases worldwide. Meeting attendees from outside the U.S.
Awardees from outside the U.S.
ASH continued to impart clinical knowledge worldwide through Highlights of ASH meetings, which distill the top hematology research from the ASH Annual Meeting in locations around the world, including Latin America. In 2018, ASH introduced Highlights of ASH in the Mediterranean, which will launch in Athens, Greece in March 2019. More than 40 percent of the 29,275 attendees at the 60th ASH Annual Meeting came from outside North America, and ASH debuted its first Japanese-language ASH Alexa to assist attendees. In 2018, ASH introduced the ASH Global Research Award, which is designed to support future international scientific leaders, increase hematology capacity, and nurture global collaboration. The award is intended to support hematologists between completion of their training and the establishment of their independent careers. The first generation of awardees came from Tanzania, Singapore, United Kingdom, Brazil, Turkey, Italy, and Guatemala. Training programs such as the Clinical Research Training Institute in Latin America, Latin American Training Program, Visitor Training Program, and Translational Research Training in Hematology continued to provide important education and mentorship for hematologists worldwide, while programs like the International Outreach Initiative and Health Volunteer Overseas helped address hematology-related needs in developing countries. In partnership with hematology societies throughout the world, ASH has undertaken several pioneering initiatives to combat blood diseases worldwide focused on education, training, and research. The Global Capacity-Building Showcase, an annual meeting poster category designed to spotlight research and capacity-building initiatives in lower- and middle-income countries, received 64 submissions and accepted 23 posters from various countries. ASH worked to facilitate the exchange of information among countries through programs such as the International Consortium on Acute Leukemia, the Children's International Consortium on Acute Leukemia, and the Latin American Aplastic Anemia Registry. ASH also made headway on the African Newborn Sickle Cell Disease Screening Initiative, which focuses on early detection and intervention in sickle cell disease. ASH has also recently launched a local language edition of Blood in Latin America. ASH continues to uphold the highest standards for its premier publications, which include clinical and scientific research and education in the field of hematology. 2018 ushered in record-breaking numbers and prestigious awards for ASH publications, along with new digital resources to assist in the circulation of critical research and discoveries to hematologists around the world. Blood’s impact factor reached a record high of 15.132 in 2018. Blood also had its highest number of citations in 2018 at 167,000, and highest online usage at 12 million visits. The journal continues to extend its reach internationally, with successful editions in Italy and Spain, and the more recently launched edition in Latin America – available in both Spanish and Portuguese. Blood Advances, ASH’s new online, open-access journal, continues to grow in prominence. The journal published 403 articles and was cited 1,117 times in 2018. In addition, traffic to the Blood Advances website doubled in 2018, and internal site searches tripled when compared to the previous year. The Hematologist welcomed its new Editor-in-Chief Dr. Laura C. Michaelis, who ushered in new departments in her first year, including “No Data Zone,” which covers blind spots in clinical research, and “Off the Shelf” — an exploration of books that have profoundly influenced each author’s approach to hematology. The Hematologist also launched its mobile app, and 2018 was a banner year for the podcast series, with more than 20,000 plays. ASH Clinical News continues to grow in impact and reach, with a print circulation of more than 28,000. The news magazine won three awards in 2018, including the Apex Grand Award for Writing, the Communicator Award, and two gold 2018 Azbee Awards of Excellence. ASH News Daily got a digital makeover in 2018 with its new website, www.ashnewsdaily.org. The website will feature 60th ASH Annual Meeting content through April 20, 2019, with 61st Annual Meeting content available beginning in the fall. The 2018 print edition was also redesigned as part of ongoing efforts to enhance the look and feel of the official newspaper of the ASH annual meeting. Fiscal year 2018 (July 2017-June 2018) was another year of positive financial growth for ASH. This financial stability enables the Society to continue to expand existing efforts, fund new projects, and support its overall mission of promoting research, clinical care, education, training, and advocacy in hematology. The ASH Foundation was created in 2012 to facilitate private philanthropic relationships with individual donors, other foundations, and government agencies that confer charitable grants. Thanks to generous donors, in 2018 the ASH Foundation provided additional resources to enhance and expand ASH programs dedicated to advancing hematology research, promoting career development and training, and making a global impact. Through charitable support from the ASH Foundation, ASH is able to enhance and expand important hematology programs and pursue new, visionary initiatives. See ASH Foundation gifts in action. Nearly 1,300 attendees participated in the ASH Foundation Run/Walk in sunny San Diego, CA, at the 60th ASH Annual Meeting. Visit the links below to learn more about the exciting events, resources, and opportunities covered in this report.